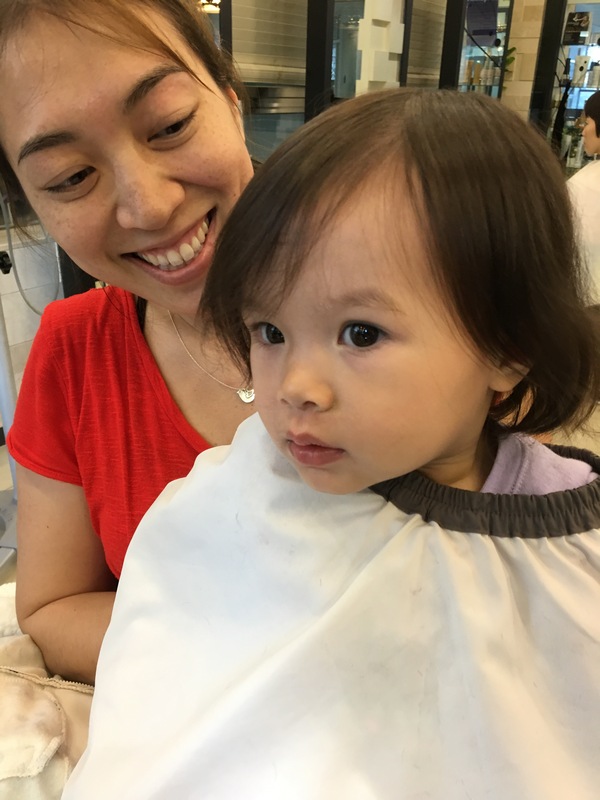 She certainly has enough hair, and it’s kind of all over the place, so when big sister went for her regular bang trim last week, Isa went along. 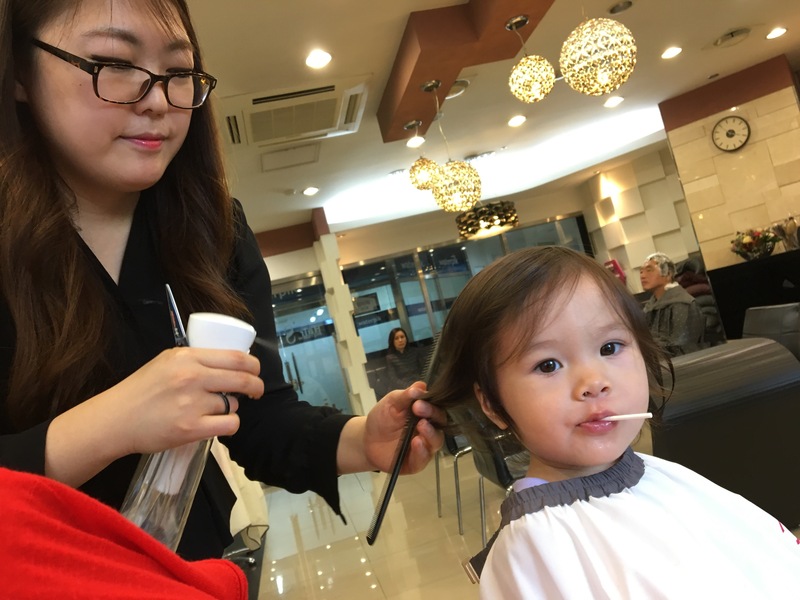 Isa got a cut and a blow out while she sucked on a lollipop. Isa didn’t get bangs like her sister did when Eva was this age. Instead she just got the back of her ‘do cleaned up, and then a nice shape for the hair that’s usually in her face. Just chillin’ through my first haircut. Checking out her new look in the mirror.